Choosing your first dance song is tricky business! Maybe you never had an ‘our song’; perhaps you just can’t think of something that would be great to dance to in front of your friends and family! 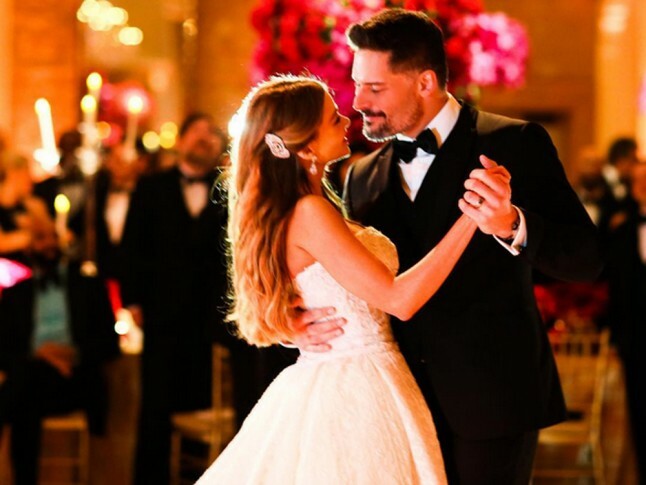 We’ve picked some of our absolute favourite celebrity first dance songs for some inspiration from some world-famous weddings. The king of pop didn’t choose one of his own songs for his first dance with wife Jessica Biel – instead he chose the gorgeous ‘A Song For You’ by Donny Hathaway. Who better to sing at the quintessential British wedding than pop royalty Ellie Goulding, who performed her stunning cover version of Elton John’s ‘Your Song’. This gorgeous duo chose the classic Frank Sinatra song ‘The Way You Look Tonight’ for their glamorous 2015 wedding. The US President and his First Lady danced to Stevie Wonder’s ‘You and I’ at their wedding. The beloved singer and his beautiful new wife chose ‘Everybody Loves Somebody’ by Dean Martin for their first dance as a married couple. It’s clear that the celebrities just love the classics when it comes to the first dance! What did you choose for your first dance? We’d love to hear all about it! Tell us in the comments or check us out on Facebook and share your wisdom with our other lovely brides and grooms.